Restock your Cassette Duplicator Maintenance Supply Kit! Professionals prefer our cleaning swabs because of their 6' length and because they won't shed! Also includes Kingdom Dupli-Care. Kingdom Dupli-Care Cassette Duplicator Maintenance Kit - Refill will restock your Duplicator Maintenance Supply Kit! You'll receive 50 of our specialty swabs. Professionals prefer our cleaning swabs because of their 6" length and because they won't shed! 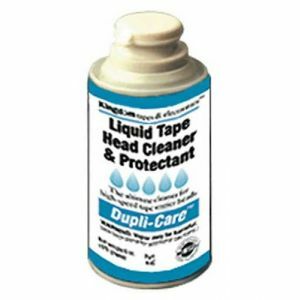 Kingdom Dupli-Care Duplicator Maintenance Kit - Refill also includes Kingdom Dupli-Care cleaning agent which is proven to remove tape oxide that can damage your duplicator and tape deck heads.